You just know that summer’s right around the corner when the free concert season at the Levitt is announced! 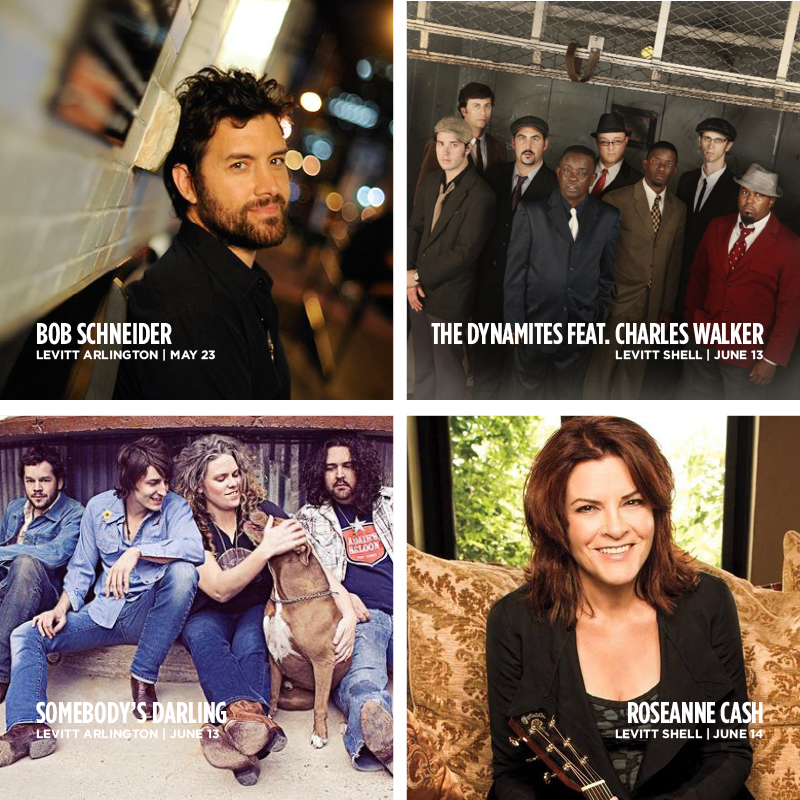 While some sneak peeks of shows were unveiled this past March, Levitt Shell Memphis and Levitt Arlington just released their full summer concert series, both jam packed with revered, award-winning musicians as well as local favorites. Levitt Shell’s summer season opens with an orchestral all-star performance of beloved Memphis group Big Star’s Third/Sister Lovers on Friday, May 23 at 7:30 pm. (Check out a previous blog post, “Five Things You Need to Know About Big Star,” for a backstory on the band.) Levitt Arlington kicks off its season on the same night at 7 p.m., bringing Texas’ own The O’s and Bob Schneider to the stage. And both have fall series, which means there’s even more stellar music to come. We’ll be posting here on Reverb as soon as the seasons for the four other Levitt venues are announced. In the meantime, get your picnic supplies ready and dust off those dancing shoes—it’s going to be a fun, music-filled summer at the Levitt! This entry was posted in Concerts and tagged Arlington, Big Star, Bob Scheider, Levitt Arlington, Levitt Shell, Levitt Shell Memphis, Memphis, The O's on April 11, 2014 by Melissa Smith.